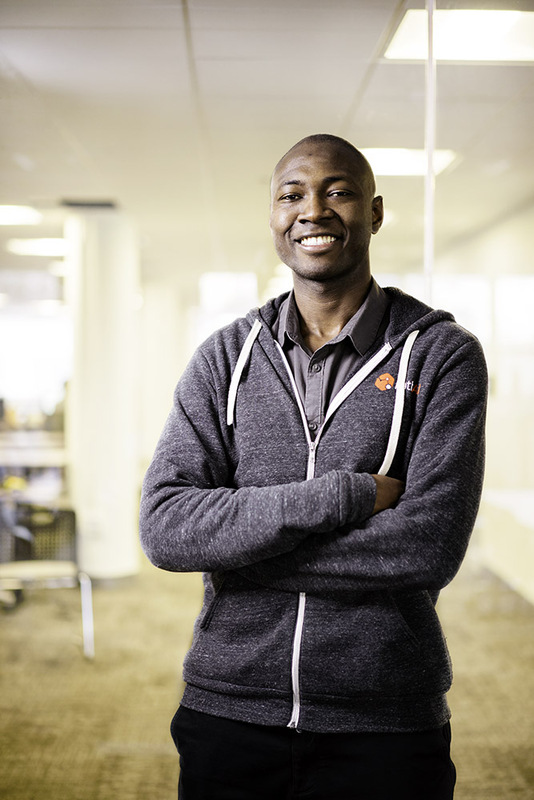 Former psychology major Joe Adu ’07 takes a human approach to technology. He is technology director at PathAI, a digital pathology company that uses machine learning to diagnose and treat diseases, and he recently joined the Bowdoin Alumni Council. He and his wife, Jenny ’07, and their two children, Jackson and Max, live in Needham, Massachusetts. Joe Adu '07, director of technology at PathAI. I enjoyed my psychology coursework, the summer research, and the independent study I did with Professor Rick Thompson. Those experiences exposed me to real-world applications of technology, but it was my Bowdoin experience as a whole that shaped my career. Bowdoin’s emphasis on the common good had a great impact on me and influenced my decision to work with mission-driven organizations like PathAI. My goal is to harness the reach and scale of technology to advance the common good—to ameliorate the human condition in some way. In addition, I work with various stakeholders to find effective and innovative solutions to organizational challenges. Knowing how to work with different types of people, plan for and embrace change, and think critically about complex unfamiliar issues are, in my opinion, paramount to being successful in my role. My liberal arts education has helped me to excel in those areas. I had the opportunity to work with the Bowdoin Information Technology department for work-study to satisfy the student contribution component of my financial aid award. I started at the IT help desk in Coles Tower, where I helped troubleshoot and resolve student technology issues. The help desk especially taught me about the human aspect of IT—before I could help someone with a technology challenge, I needed to connect with them on a human level—gain their trust and obtain essential details to inform the issue resolution process. I quickly learned that it was first and foremost a customer service role, and that the technology was secondary. When someone visits the help desk, they’re typically not in the best mood because there’s been some type of service interruption and they need help. I needed to exercise empathy and patience. I had just stumbled upon psychology as a major around that time, and I was beginning to learn about sociological imagination from my sociology coursework; the material from both subjects were relevant and helpful in my IT role. Of course, I also learned a great deal about technology while working at the help desk. Perhaps, the one Bowdoin experience that had the greatest influence on my decision to pursue a career in technology was the work I did with the consulting arm of the Bowdoin IT department. I worked on various projects and really enjoyed talking with then CIO Mitch Davis. 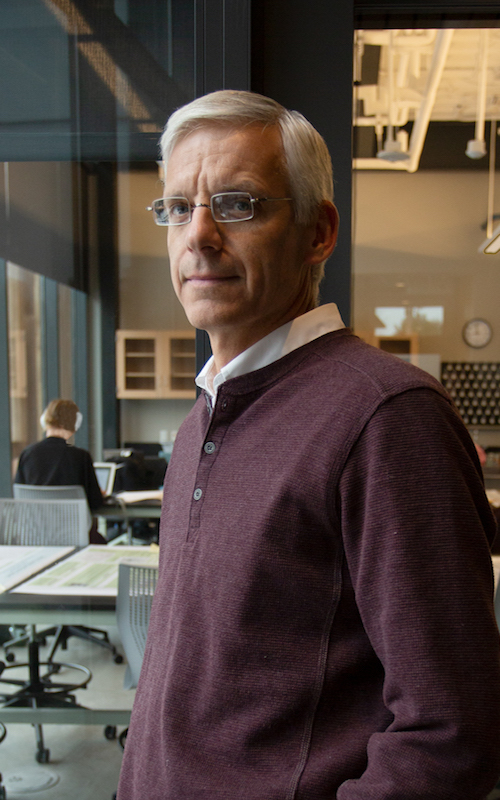 He seemed to have the most inspiring job, because he got to work with cutting-edge technology and figure out how technology could enable and enhance innovation at Bowdoin. That career path was foreign to me, as my sights were previously set on becoming a neurosurgeon—the neuroscience program was the main reason that Bowdoin even popped up on my list of prospective colleges. Mitch’s mentorship exposed me to the IT profession and enabled me to envision myself in his job. That caused me to reassess why I wanted to be a neurosurgeon. Ultimately, I wanted to help people, and that desire was largely influenced by my childhood in Ghana, where we did not have enough doctors to treat illnesses and prevent deaths from basic afflictions. I wanted to be part of the solution, and as my interest in technology deepened and I acquired more knowledge in the technology field, I became determined to leverage that skill towards the same goal of helping people. PathAI is a digital pathology company that uses machine learning to better understand and treat diseases like cancer. As director of technology at this early phase of the company’s life, my job is dynamic and multi-faceted. My team is responsible for the enterprise technology infrastructure, which includes both on-premise and cloud-based environments. My most important responsibility is to be a change agent that enables the company to fulfill its mission to be the world’s pathologist—to advance the diagnosis and treatment of disease and improve the lives of patients and their families. I find it exciting to devise creative and innovative solutions to both technical and non-technical organizational challenges, including information security, which is thorny and important. I love many things about my job, including working with fellow Polar Bear M. Jackson Wilkinson ’05, but my favorite aspect of working at PathAI is the company’s ambitious mission. As a kid, I wanted to be a doctor so that I could help sick people feel better. Even as I developed a strong interest in and decided to pursue a career in technology, my original desire to help people never changed. I quickly realized that technology has the potential to significantly enhance our ability to tackle the world’s biggest problems, including treating and eradicating previously incurable diseases. It gives me great pride to be part of an organization that is going to change the face of medicine by helping detect, diagnose, and treat diseases faster and more accurately than ever imagined. We are leveraging technology in the field of pathology, drug development, and in global health by partnering with the likes of the Gates Foundation to bring AI-driven technology to the regions and people that need it the most in a cost-effective way. How cool that as a high school senior, I received a Gates scholarship to help pay for college, and now I work for a company that is partnering with the Gates Foundation towards a shared goal of improving global health? The greatest challenge of my job is to constantly maintain the right balance between being reactive and proactive in a fast-growing startup. As the first IT director at PathAI, I need to ensure that the department has the necessary capabilities to respond appropriately to constantly evolving organizational priorities and a fast-growing workforce. Moreover, it is important to anticipate the future needs and challenges of the organization and lay the necessary groundwork to ensure that PathAI continues to thrive and innovate without major IT blockers. If I focus disproportionately on responding to immediate challenges, then I risk being unprepared for future challenges—keeping in mind that “future” in the world of a startup like PathAI may be a matter of weeks and not months or years. Likewise, sliding the lever too much to the other side and focusing primarily on looming opportunities could have the unintended effect of hindering progress due to too many obstacles and improperly addressed issues. It is difficult to identify the one greatest challenge currently facing the tech sector, but security is certainly a notable and formidable one. It is clear, from the proliferation of high-profile data breaches and security incidents, that security has not always been a core design component of many technology products and systems. Even when the systems and products themselves are built securely, education around security best practices has been lacking. You can build a fortress, but how do you keep a trusted person from handing over the keys to the first person who comes knocking at the gate? That is the threat of social engineering, which targets end-users as the weakest link within the security infrastructure. Consequently, information security must necessarily focus on educating end-users on ensuring the confidentiality, integrity, and availability of data. I think that recent advancements in the application of machine learning to improving healthcare is very exciting. I also think that blockchain has great potential due to its many applications beyond cryptocurrency. When I am not working, I am usually spending time with my wife Jenny ‘07, and our two kids Jackson and Max. Our boys are a great blessing and a joy to be around. They keep us very busy, but when time permits, I play soccer and volunteer on a couple of local non-profit boards. I recently also joined the Bowdoin Alumni Council and have really enjoyed the opportunity to continue serving the college as chair of the Council’s Nominations Committee. One major focus of the Alumni Council right now is to communicate our work more broadly within the alumni body in hopes of increasing engagement with the College and deepening the impact of our work. If I had one more day to spend at Bowdoin, I’d probably spend it on the Quad. 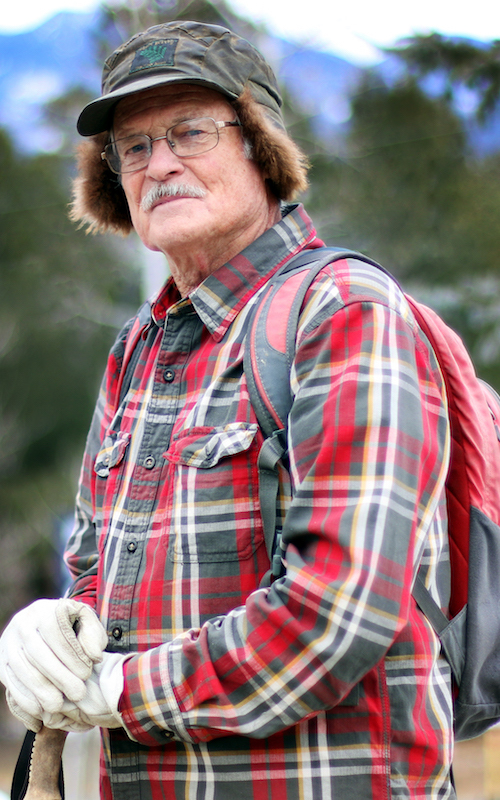 The Quad was largely a work-free zone for me and my friends, which is ironic given its central location on campus. Bowdoin can be such a fast-paced environment, and as I reflect on my four years on campus, I’m especially grateful for the afternoons on the Quad when it seemed like time stood still—just soaking in the sun and enjoying the company of friends. 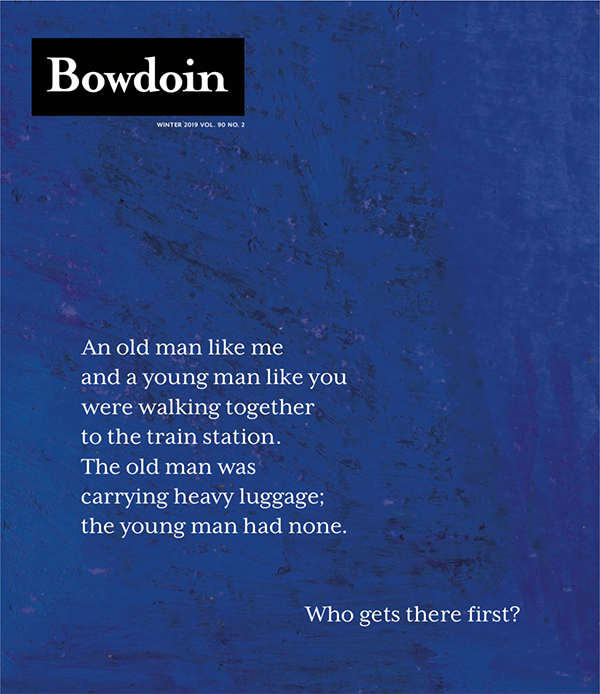 This story first appeared in the Winter 2019 issue of Bowdoin Magazine. Manage your subscription and see other stories here. 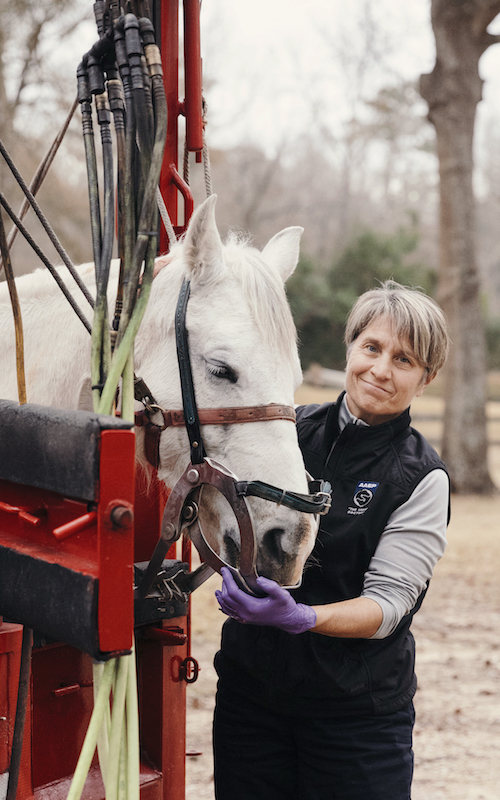 Mobile equine dentist Carrie Niederman ’82 covers a lot of ground around Houston, Texas, tasked with the important work of keeping horses healthy, starting with their mouths. Professor of Education Charles Dorn argues that we can’t understand what’s going on with colleges and universities today until we examine their history and how society has viewed them over the course of time.